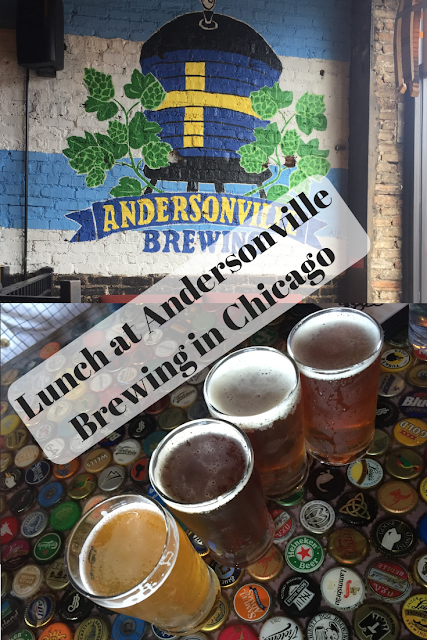 During a weekend visit to the Andersonville neighborhood, we stopped in for lunch at Andersonville Brewing. Andersonville Brewing is nanobrewery and pub. 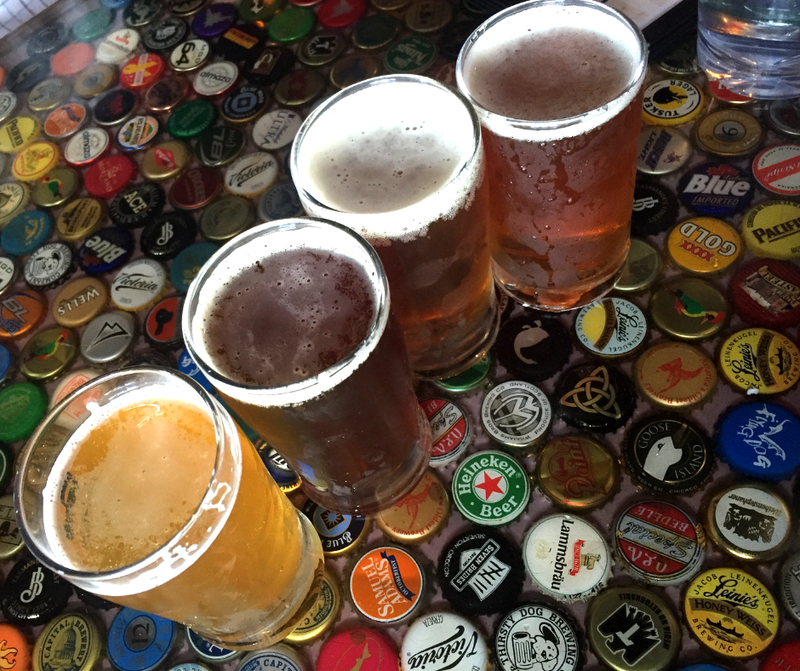 We had to do our due diligence and try some beer made in the area, right? We enjoyed a sampler of Andersonville Brewing's beer -- a much welcome experience on a hot day! 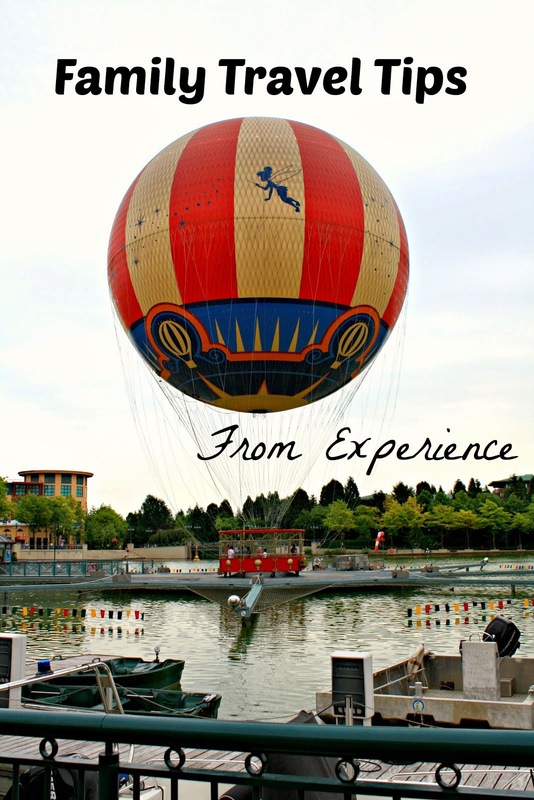 My husband and I each chose two of the samples to enjoy. Cheese burger and Queen Mary Sliders. Andersonville Brewing's menu is actually larger than I expected. The menu features plenty of burgers and wraps and also pub appetizers and salads. All three of us went for burgers. 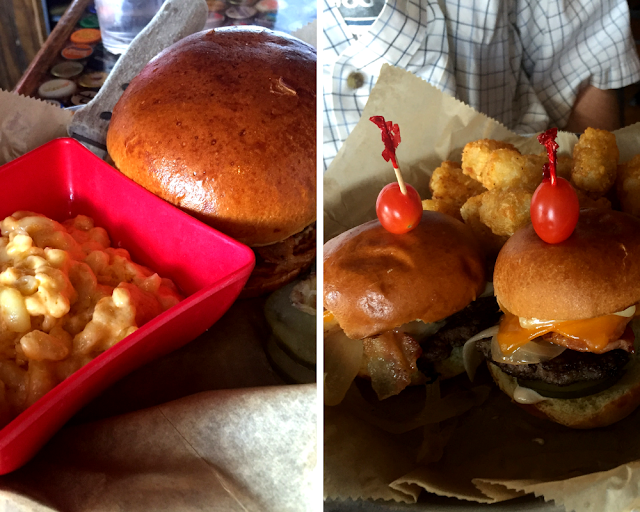 My husband went for the Queen Mary Sliders featured above. The Queen Mary Sliders include cheddar and jack cheese, applewood bacon, caramelized onions, lettuce and Mary's sauce. My daughter had a plain cheeseburger with side of mac-and-cheese. Why? Because cheese! Both my husband and daughter loved their burgers. Plus, there were tots. Yum! Veggie Black Bean Burger with guac. I ordered the Veggie Black Bean Burger which I have to say was one of the best veggie burgers I have had. Of course, I had to have guac on top. I had a side of cole slaw which had a little zing. This burger was large and I wish I had planned better to bring some home. It was a bit messy, but I loved the flavor. Shopping for jeans at Dearborn Denim. 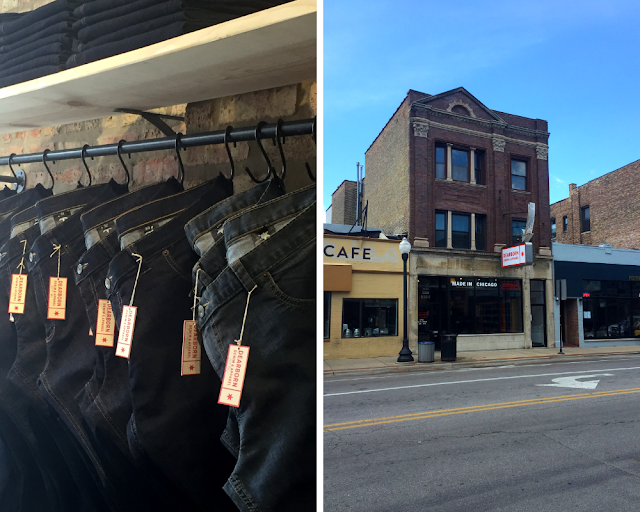 While in Andersonville, we shopped and enjoyed exploring. 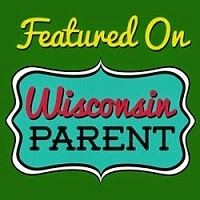 My husband purchased his first pair of Dearborn Denim jeans which are made in Chicago. A sea of finds at the Brown Elephant. We also shopped at the Brown Elephant which is a resale shop benefiting the Howard Brown Center which helps provide health care and social services to the LGBTQ community. Shopping locally made at the Andersonville Galleria. After, we visited the Andersonville Galleria which is home to locally made artisan items. 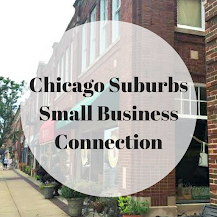 The Andersonville Galleria is fairly large with products from over 100 artisans, so the perfect place to find a made in Chicago treasure! 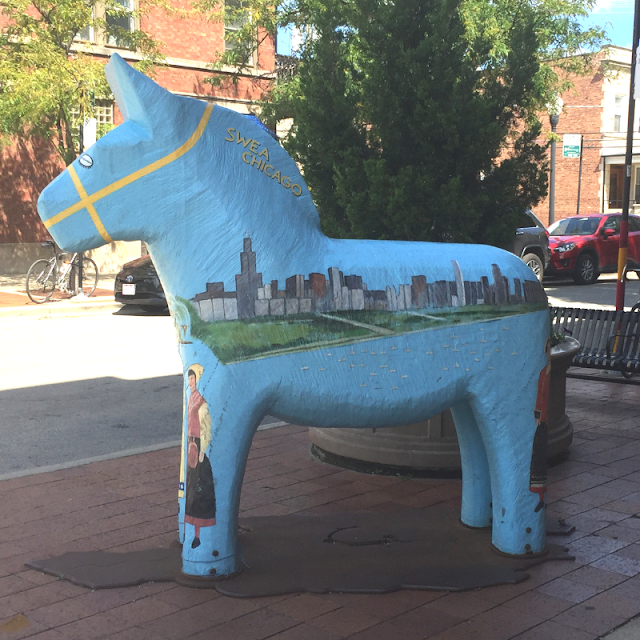 Swedish dala horse not too far from the Swedish American Museum. During this visit, we also explored the Swedish American Museum which has quickly become one of my favorite museums! The artifacts and scenes created are incredibly interesting and tell the story of the Swedish that settled in Chicago. 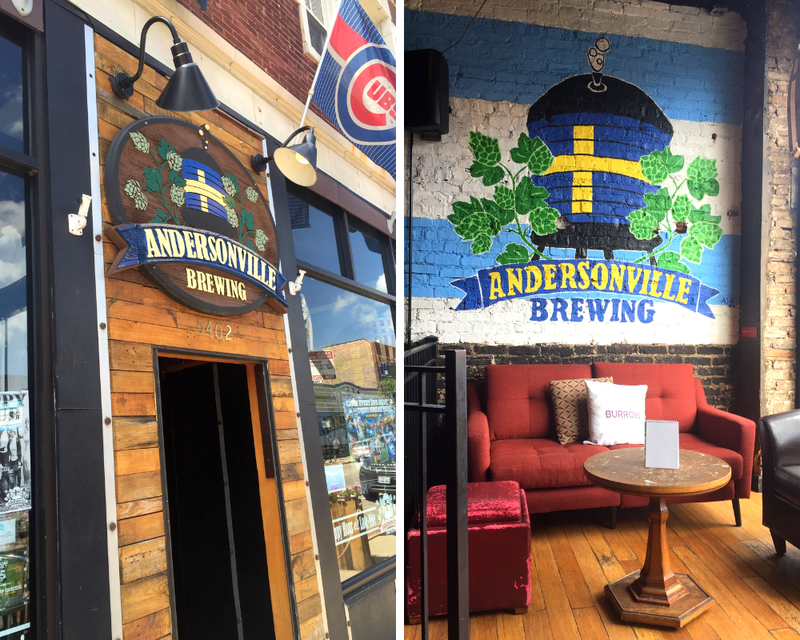 We totally fell in love with the Andersonville community during this visit and look forward to returning. I, of course, need to go back to Andersonville Brewing for another Veggie Black Bean Burger. Yum!